16857 EP HUNGARY (1986) Apricots*. 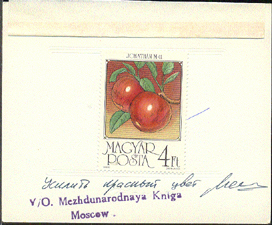 Special perforated proof mounted on card with official stamp and signature. Scott No 3007, Yvert No 3058. 16858 EP HUNGARY (1986) Apples*. 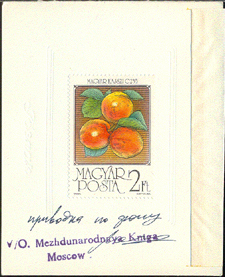 Special perforated proof mounted on card with official stamp and signature. Scott No 3010, Yvert No 3062.